Potterheads know: nothing helps you recover from a brush with Dementors faster than a big hunk of dark chocolate. But most conventional chocolate sold these days passes through the hands of slaves in West Africa (especially Ivory Coast and Ghana)–many of those slaves children. That kind of misery only makes Dementors stronger. But some Harry Potter fans combine a Gryffindorian fortitude with political savvy worthy of a Ravensclaw, and they have forced the Warner Bros. Company to switch to selling slavery-free, fair trade chocolate at all their Harry Potter venues. 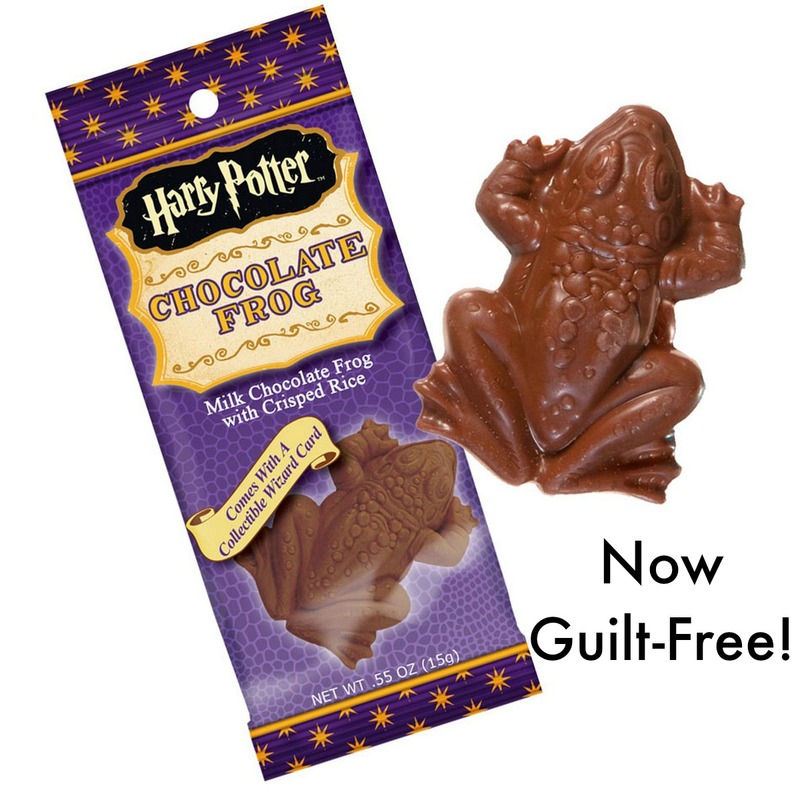 Today, Warner Bros. Entertainment Inc., producer of eight Harry Potter films (with three spin-offs in the works), has announced plans to source Harry Potter-related chocolate products, like the magic frogs inspired by the books, from certified Fair Trade or 100 percent UTZ Certified cocoa. 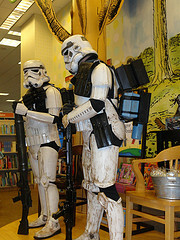 The announcement comes after a four-year campaign by the fan activist group the Harry Potter Alliance (HPA), anti-slavery activists, and evenHarry Potter author J.K. Rowling herself, to convince the studio to stop buying cocoa from a company called Behr’s Chocolate, which has a poor record on human rights and child labor. 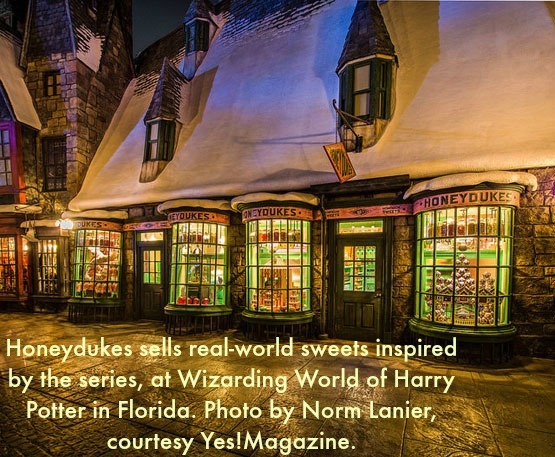 After years of pressure, Warner Bros. announced that by the end of 2015, “and sooner when possible,” all Harry Potter chocolate products sold at Warner Bros. outlets or their licensed partners will be ethically sourced. The success is just the latest for the HPA, a group that mobilizes fans to follow the lead of their fictional hero and enact change in the world. 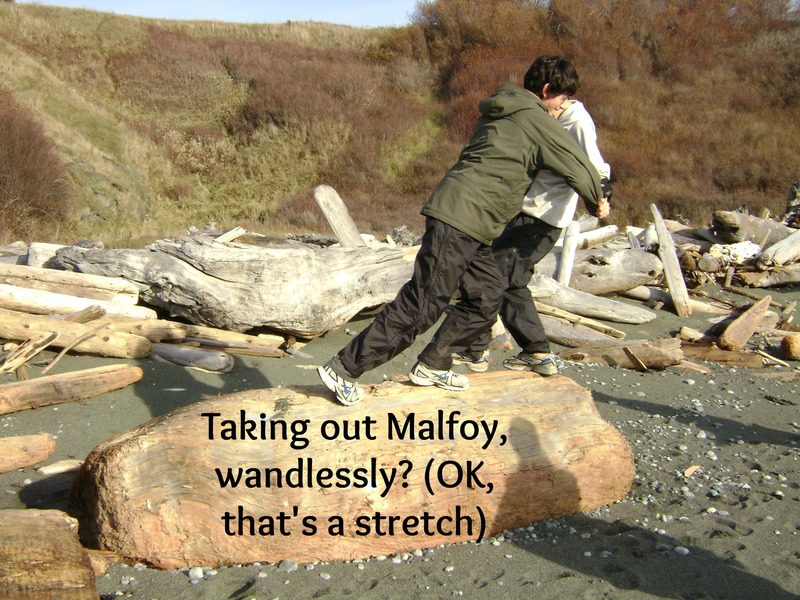 This Harry Potter fan says, well done. And thanks for the inspiration. And keep it up. And for the rest of you, Potterheads or not…pass it on, okay? This is a wonderful story, but it could be the beginning of something much larger. Hi, I’m Gretchen and I’m a Potterhead. It’s been four years, two months, and five days since I last re-read Book Seven…but I’ve been thinking about a fourth re-read lately. My quickened pulse and heightened breathing tells me I need help. But I don’t want it. I love being a Potterhead. Of course it’s the adventure, the humor, the pretty-darn-good-writing-that-got-better-from-Book-One-with-its-limited-verb-usage-that-turned-into-practically-poetic-stretches-by-Book-Seven (“OK, OK, English teacher, we get it.”). Even more, it’s the astounding depth of the plotting, with tiny details from Book One surfacing as epiphanies in Book Seven. But mostly, it’s the perfectly flawed characters, and the way their flaws clash and mesh, creating their own sub-drama. My son IS Harry Potter. 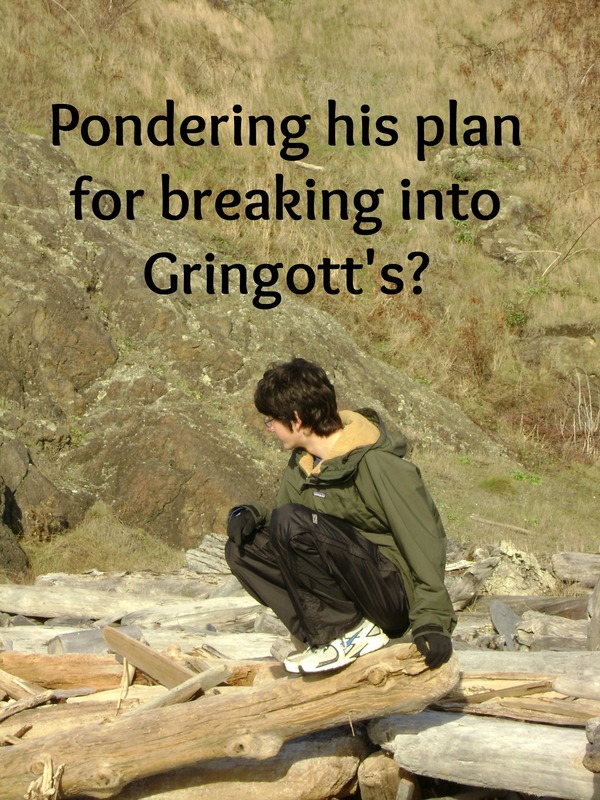 Well, at least Harry as played by Daniel Radcliffe. Like Daniel, Mac’s eyes are blue, not green as Harry’s are described. But the unruly black hair, the round glasses, the solemn face, the skinny frame–check. It helped that Mac was exactly the same age as Harry, as the movies came out, one by one. 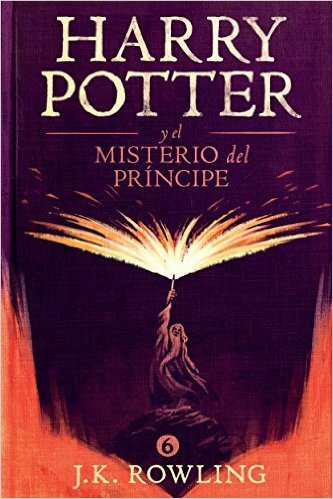 Mac was 11 when “The Sorcerer’s Stone” debuted, with 11 year-old Harry first discovering his wizard identity. I WISH I had a digital version of a photo I have, which shows Mac in a Hogwarts gold-and-burgundy scarf, standing in front of a poster of Daniel Radcliff wearing same. They look as twinned as Fred and George Weasley. Unfortunately, though, I did not own a digital camera then, and I don’t own a scanner. Two Halloweens in a row, Mac’s “costume” was a bathrobe, a chopstick, and a piece of tape on his glasses. 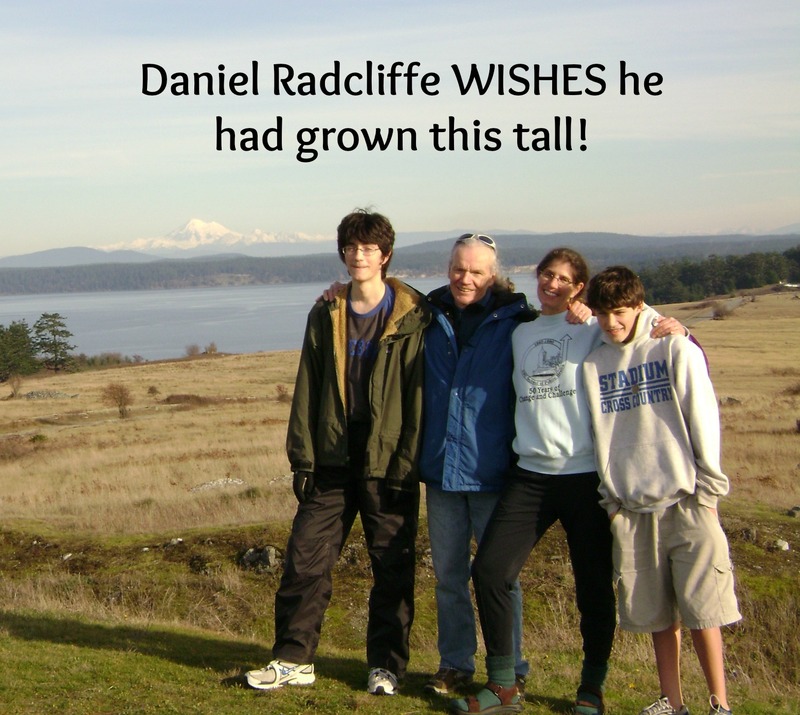 Around age 17, Mac grew, and stretched, and so became, in my opinion, more what Harry really looked like than how he was depicted by Mr. Radcliffe, whose height remained stubbornly fixed, and whose body, to compensate, became rather blocky. Not unattractive, but not well suited for late-teen Harry, who was always supposed to be on the skinny side. By the time the final movies were made, Mac was in college, no longer turning heads at quite the same rate. But I still liked thinking that he looked more like the “real” Harry. How about you? Any movie parallels in your life which give added meaning? Did your brother look like Westly in The Princess Bride? Did your mom look like Princess Leia? Share! I’m waiting for my proofs to arrive. If that makes no sense to you, don’t worry–three months ago it meant nothing to me either. Proofs? Thought I left those behind in geometry class. Turns out proofs are the kinda-sorta first draft of printing. I guess this term works for photography as well. You get your picture taken, you check out the proofs, you choose the ones you like, and those proofs get printed. 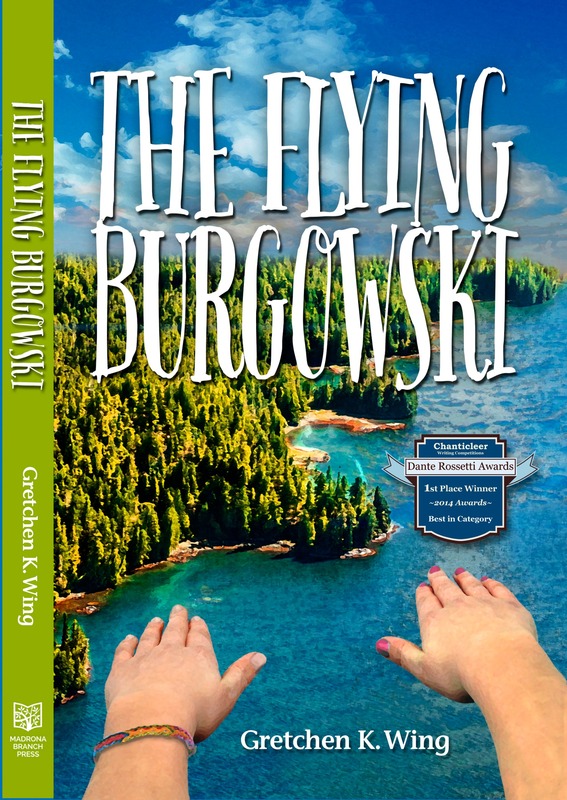 In the next couple of days, I’ll receive my book, The Flying Burgowski, in the mail. 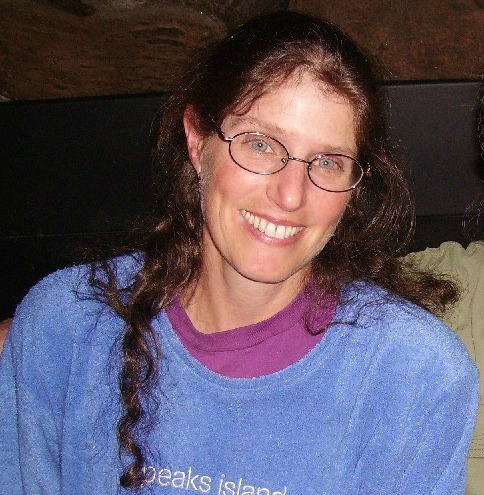 I’ll comb through it, looking for any piece of missing punctuation or indents or chapters cut off in the middle of the page or….ANYthing wrong that needs to be fixed before my baby is ready for her debut before the reading public. Wonderful-sounding aphorism, but what does it mean? Yes, you with your hand up? 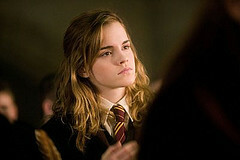 Miss Granger? It’s actually a misstatement. The real saying is, “The proof of the pudding is in the eating.” It means, the dessert may look pretty, but you can’t really tell how good it is until you eat it. Ten points to Gryffindor. Yes. And how does this aphorism apply to the present case? 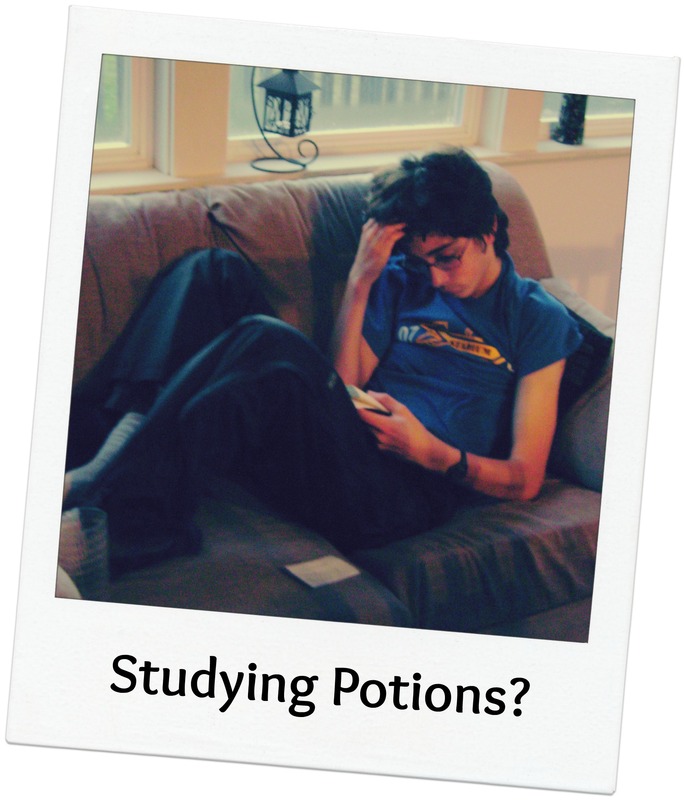 … [sigh] … Yes, Miss Granger? Your book may look wonderful, but you will only know how good it is once people read it. Thank you, Brain, for this amusing illustration. What’s that? You want to talk about another meaning of the word “proof”? Fine. Go ahead. So what’s being “proven” here? That I am no longer just a writer; I’m an author now. Come again? What’s the diff? So…aha. A writer writes. 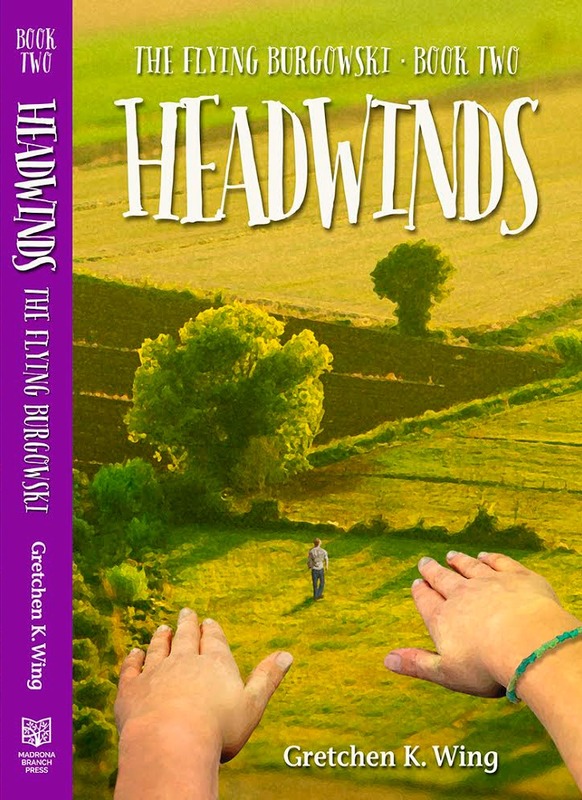 An author is a published writer? Is that what you’re saying, Brain? I think that’s what I’m saying. But what do I know? I’m just a brain. So, what do you guys think? Do you agree with my brain? Do you think writers are thought of differently than other artists? My brain and I are very interested in your answers. Forgive me if I don’t get all choked up at the sound of Pomp & Circumstance. 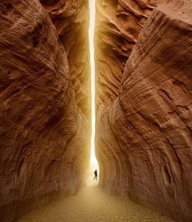 I am truly happy for everyone who has recently gone through or is about to go through this hallowed ceremony. For you it MEANS SOMETHING. For me, well…as a former teacher, let’s just say, including my own and those of family, I’ve probably sat through at least 35 graduation ceremonies in my time. That’s at least 35 graduation speeches. Actually, more like 135, since every grad ceremony I’ve ever attended included AT LEAST three speeches. So when my husband and I prepared to attend our older son’s graduation from college last weekend, I was looking forward to feeling proud, I was looking forward to having our far-flung family back together, and I was looking forward to the hugs and the post-grad dinner. Instead, this is what we got: Dean Bruce Tiffany, of the U.C. 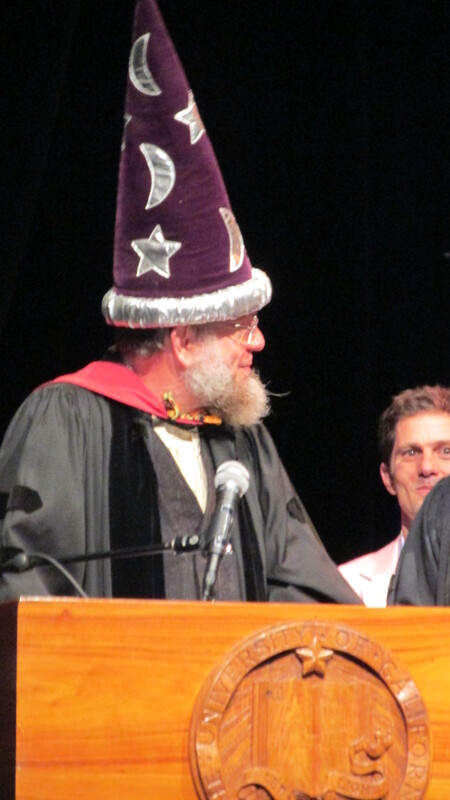 Santa Barbara College of Creative Studies (bless its creative little heart), dressed up as Dumbledore to give his speech. See, “quirky” is just another word for “individual.” As in, You ARE one. There has never been, and will never be, another You. I see you. I respect you. You ROCK. And that got me thinking. 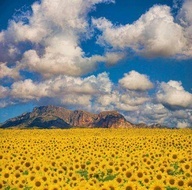 What can I do in my life to “quirk up” something humdrum and make someone feel special as a result? My husband used to make “flower arrangements” out of pieces of fruit when our boys were little. My bakery colleague Diana makes people cards with their own faces cartooned. My other colleague Ty likes to make baguettes that look like sea snakes. What about you? What do you do to “quirk up” boring old routines for people in your life? Share! I love hearing from y’all!